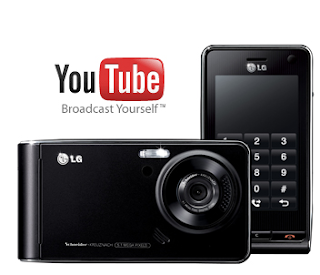 LG is soon to launch YouTube phone - LG KU990 Viewty-which features a 5 mega pixel camera, a touchscreen, and YouTube integration. Sources at CNet confirm. You can shoot the video at 120 frames per second, which may be almost 4 times higher than any standard camcorder. With YouTube integration, you can directly shoot the video, and post the same directly via your mobile using your personal log in ID. You can also watch YouTube videos on the set. It’s still not confirmed how much time LG takes to flood its product in the market but LG KU990 is already made. Once price gets determined, supply creates its own demand. Joining the same the mobile video bandwagon, Samsung has also taken the same initiative to manufacture YouTube phone in Europe.